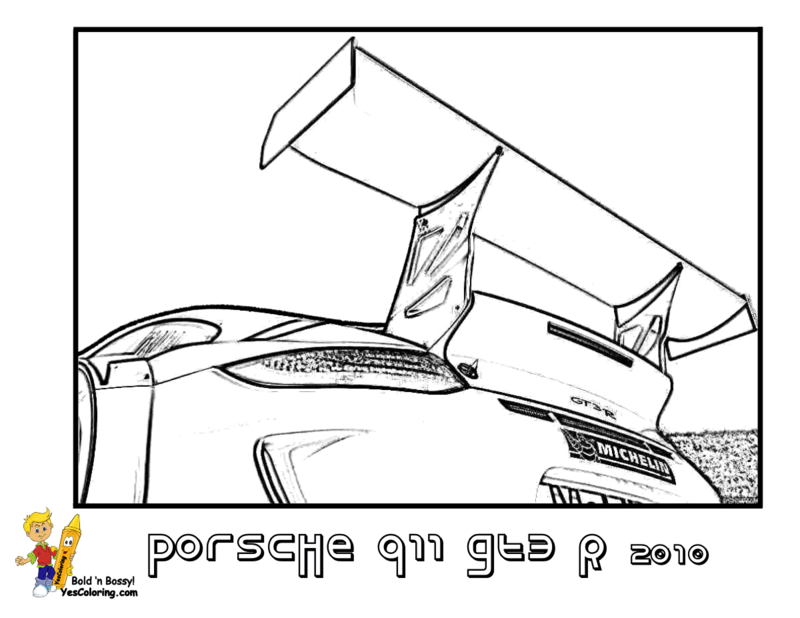 Gusto Car Coloring Pages 01! 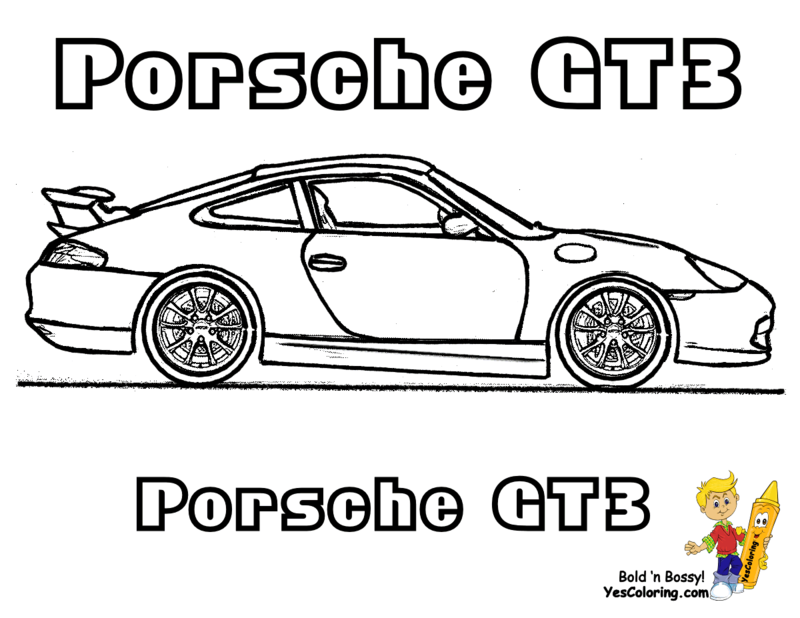 Porsches are priced lower so you coloring kids can afford one. Ferrari sells far fewer cars at prices over $200,000. Porsche offers equal or higher performing cars than the more expensive Ferrari models. The first Porsche, Porsche 64, was developed in 1939. It was built with performance parts from the Volkswagen Beetle?! 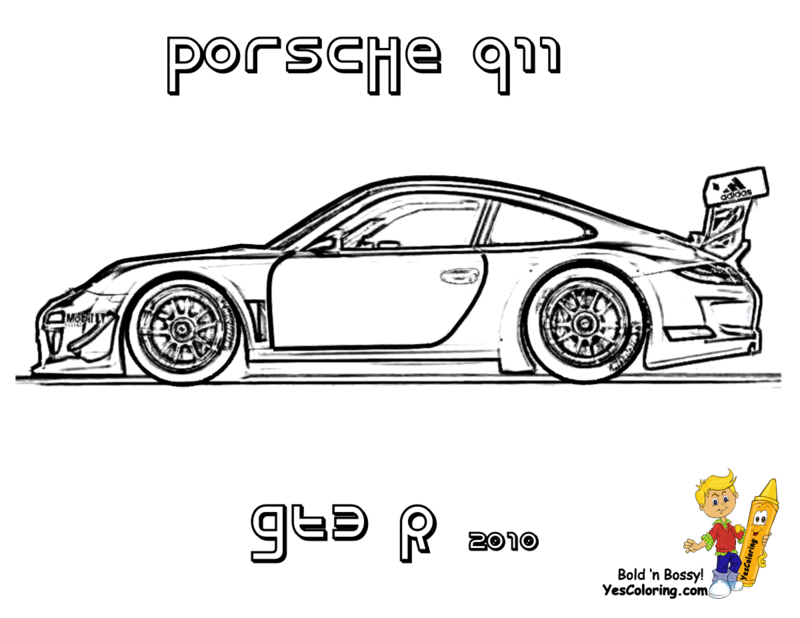 Take a look and print out and color the Volkswagen W12 SuperCar! Cool Car Coloring of The 918 Spyder, 981 Cayman and 911 Carrera. Print Out Your Pictures of American Corvette and Camaro Dream Cars and German Porsche Sports Vehicles. Coloring Kid's Meet Your "GrandPappy" 1939 Porsche 64! 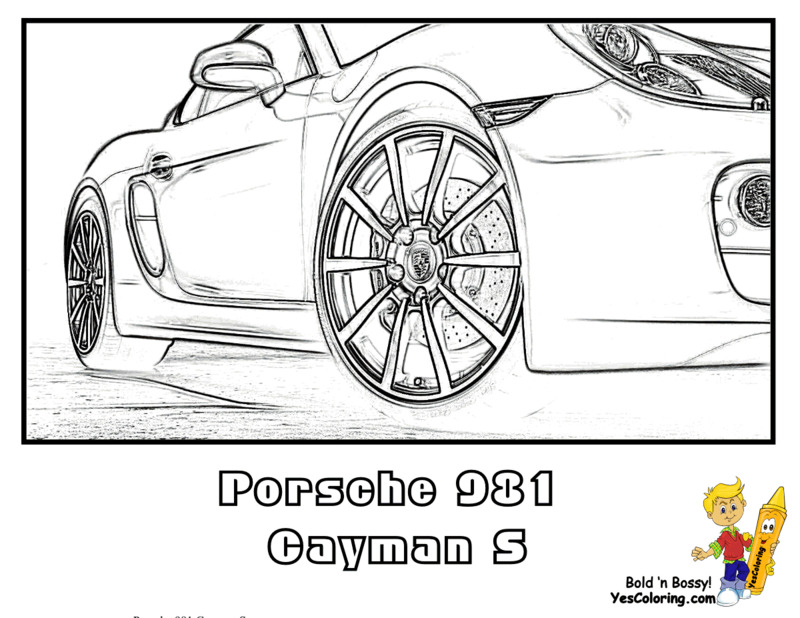 Porsche Coloring Pictures Of The Cayman Widebody and 911 Turbo. 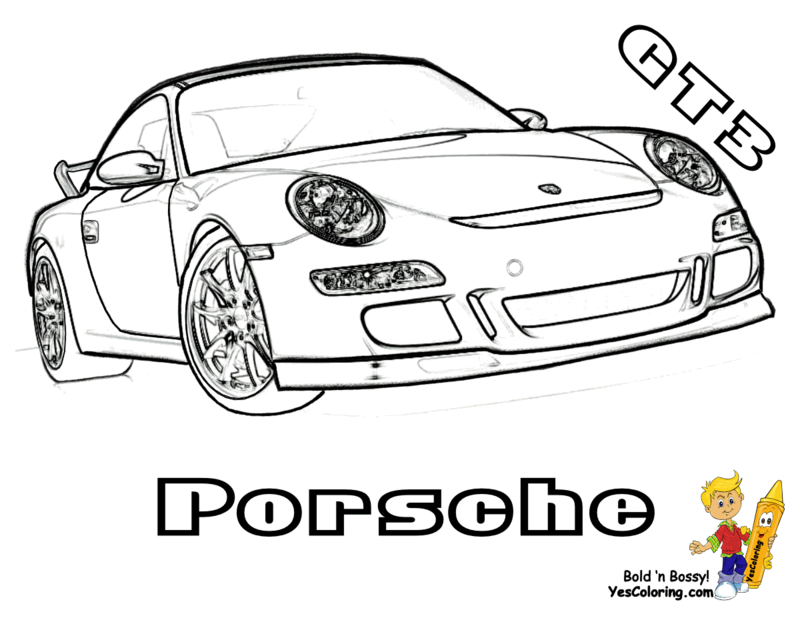 See How To Print Out Jumbo 8x10 Coloring Pages. 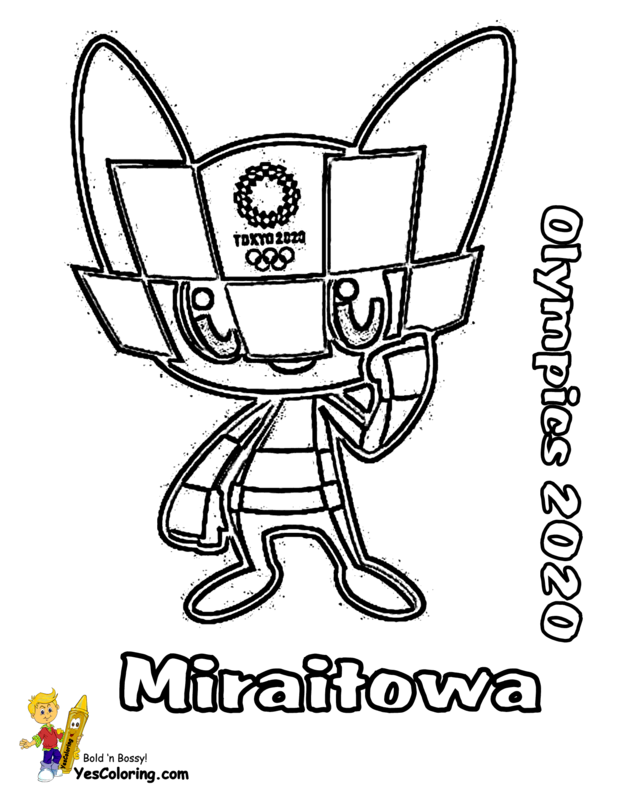 Resize, Too! 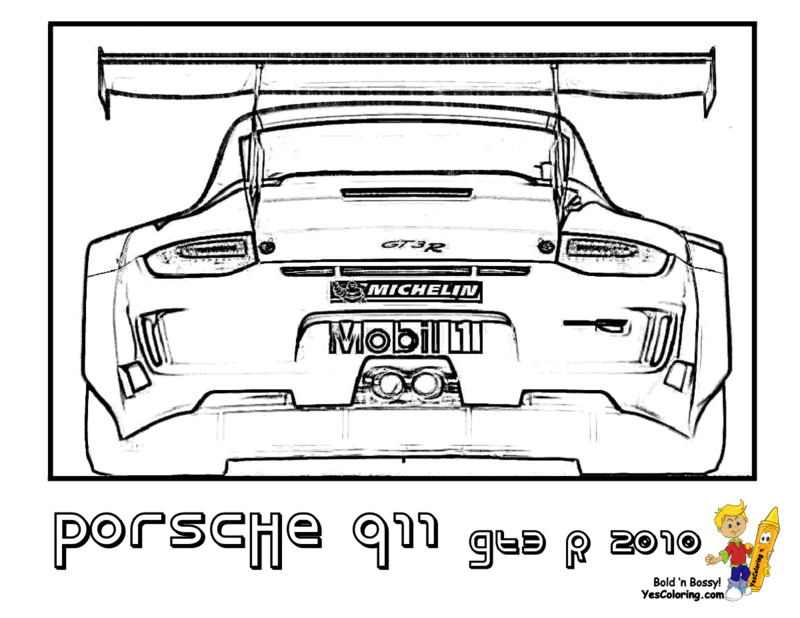 Porsche Racing Car Coloring Pages of Hamann Porsche 911 GT3 Stallion and 911 Targa 4 GTS.